This beautiful creation was built by an Italian shop based in Rome called Emporio Elaborazioni (EE). It was started by a graphic designer, a mechanic and a silversmith who all shared a love of custom motorcycles. This brutal bike is nicknamed the ‘Mastino’ or Mastiff after the breed of large, powerful and rather stocky pedigree dogs. 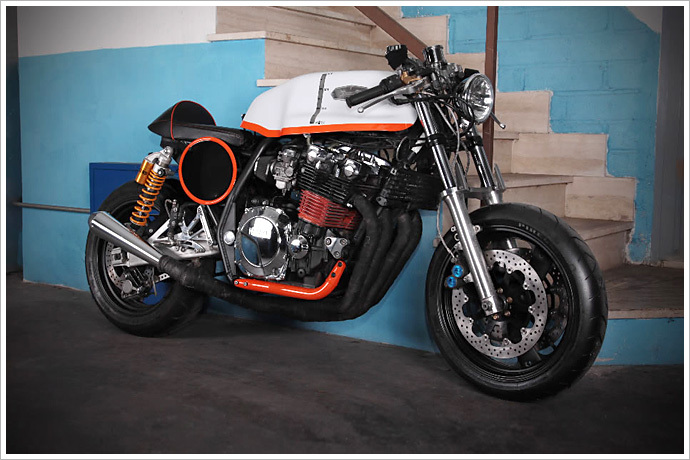 When you look at the stance of this short, mean and muscular café racer you realise the name couldn’t be more fitting if it tried. We always thought the powerful and naked XJR 1200 would be a great contender for a modern café racer, but we had no idea it could look this good – trust the Italians to teach us a lesson in style.